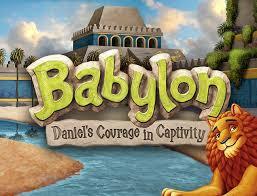 "Babylon - Daniel's Courage in Captivity"
6:30 PM on Sunday, December 24th. ​Sunday, December 24th at 10:30 AM. We invite you to our Vacation Bible School this week! Each evening (Monday through Friday) we will start at 6:00 (come a little early to register). The evening will conclude at 8:00. Pre-school to 6th grade children will explore the theme: Created by God - Built for a purpose. Each day will include games, snacks, crafts, a Bible lesson and more. For more information, click HERE to contact us. Please join us for worship at 10:30! There will be no Sunday School (9:15 service).